Think One .edu Link Will Move the SEO Needle? I often tell clients that they’ll only benefit from a pile of good, relevant links – not necessarily from any single backlink. 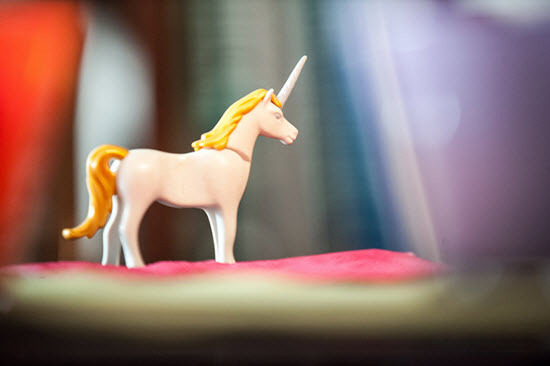 Growing your rankings, traffic, and business isn’t quite as simple as getting that one unicorn link. It’s complicated. On the one hand, without at least some good links you won’t be competitive, and Google surely values some more than others (80/20 rule). On the other hand, you can’t say exactly how much Google values a specific link, or if and when it starts “paying off.” That’s why people who use a single strategy – like “scholarship link-building” – as their only way to earn good links are in for a disappointment, in my experience. As I often do, I decided it was time for a little experiment. My site has tons of authoritative links, but until recently it didn’t have one from a .edu domain. I think that’s because my audience consists mainly of business owners and other SEOs and marketers. Not as many professors. In a roundabout way, I found that a school affiliated with my alma mater wanted donations for a robotics competition between the kids. 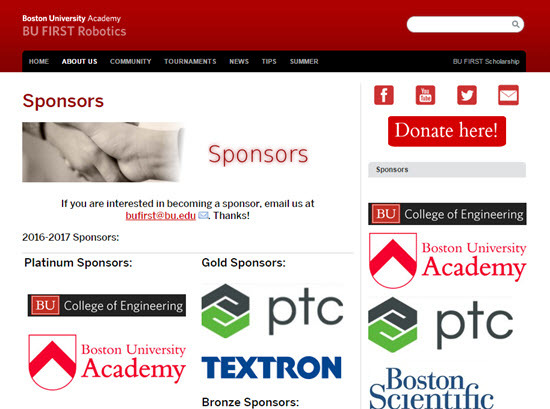 The Boston University Academy sure had an inviting “Sponsors” page on BU.edu, with a “follow” image link for each sponsor. BU Academy isn’t the one shaking me down for money every month, and I thought their robotics competition sounded like a good cause, so I was glad to donate a few bucks – and in the name of SEO (pseudo)science, no less. I reached out to the coordinator, mailed in my check, and a few days later got my logo/link down near the bottom of the page, where all the cool businesses hang out. Did my traffic “EXPLODE!” or “SKYROCKET! !” (a la Warrior Forum infoproduct)? Not that I noticed. Traffic stayed pretty much stayed the same after getting that nice .edu link. 1. 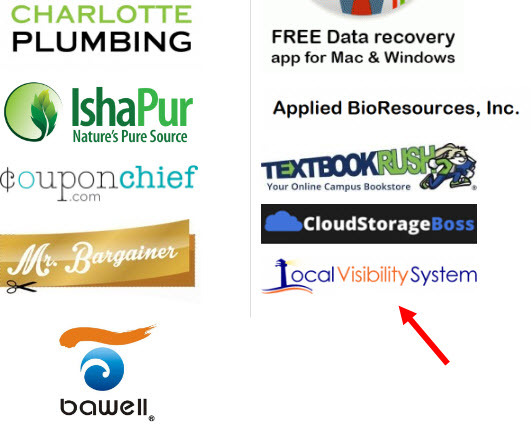 Local Visibility System already had a heavy-duty link profile, and got even more good ones after the .edu. I suppose it’s possible there would have been a more-noticeable effect if I hadn’t had many or any good links before the .edu, or didn’t continue to get them afterwards. 2. Of course, there is other dust flying. For instance, the highest peaks in my traffic come when I do a blog post that I announce to the people on my email list. Of course, it often is the case that a business has other marketing activities going on. 3. I’m not a “local” business. Boston University is relevant to Boston, and I live near Boston, but most of my traffic comes from all over the place. Perhaps ironically, I don’t give a hoot about my local rankings. Maybe my local rankings benefited from the geographically-relevant .edu link, but the point is my numbers in Analytics don’t show a clear before-and-after. 4. There was no anchor text. I got an image link (i.e. my logo was hyperlinked). 5. The link went up only 3 months ago. Maybe it takes longer to notice a “pop,” but I’d have no way of attributing that to that one link, with everything else I’ve got swirling around. I’m sure this isn’t the last word on “the potential payoff of one backlink,” of course. Other people may have data that contradicts mine. Maybe you have data that contradicts mine. I’d love to hear. Still, I feel more confident in saying (1) there isn’t necessarily any magic in a .edu link, and that (2) a great backlinks profile is more than the sum of its parts. Interesting study, Phil. You already have soooo many links, though. I’d like to see the impact of one .edu link (or any decent link, really) on a business that currently has ZERO non-citation links. A small business, in a low-competition category, in a small town, for example. Yeah, I’ve wondered the same thing. Phil, also up for a test from your site! My answer will probably be “no” for a variety of reasons – chief of which is that a link from my site probably wouldn’t be relevant to your client’s business in any way. But feel free to email me with details on what you’ve got in mind. 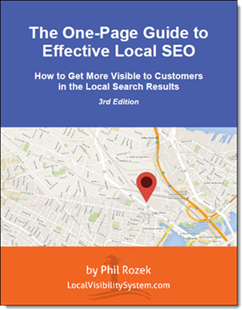 I’ve handled some clients with minimal back links in non-competitive niches where one link has made a big difference. And it doesn’t have to be a .edu link. I agree with Darren – you should try this on a few local businesses that have very few (if any) backlinks already. We sponsored an event at a University a few years ago and got an .edu link, it did not make much of a difference. We also helped a few small local businesses get .edu links a few years back and it helped, but not tremendously (and after a few months, it went back to “normal” for the one business that did no additional link building). But this is anecdotal (not scientific at all) and fairly dated. I can see that. A lone link can matter, but it’s a question of degree. My main point here is just that a .edu link doesn’t necessarily deliver a jolt. Similar to what I said to Ewan. It’s hard to agree or argue beyond that, because I can’t see first-hand whatever intel you’re seeing. I like your hands-on approach, Phil, even sending a check! Agree with what you and Darren are saying, though, about an even better testing environment. Thanks, Miriam. I agree with you (and Darren). I much prefer, as you do, links from topically and geographically relevant sites. Still, I have a client in a super competitive niche, where some link building, as much as I try to avoid it, is required. I obtained 2 EDU links for them. It didn’t seem to move the needle much at all. However, the site now outranks a competitor who went on an EDU link building rampage who has, as far as I know, 250 – 300 EDU links. Most concerning to me is the number of outbound links on some of these scholarship pages. Some of them link out to hundreds of scholarship pages. I’d rather have one link, used in context, from a random, low power website than a dozen EDU links. I think a quantity of links from powerful sites,such as EDUs, helped at one point, but that point passed 2015ish. I know what you mean. People who rely on one type of link tend not to get far.